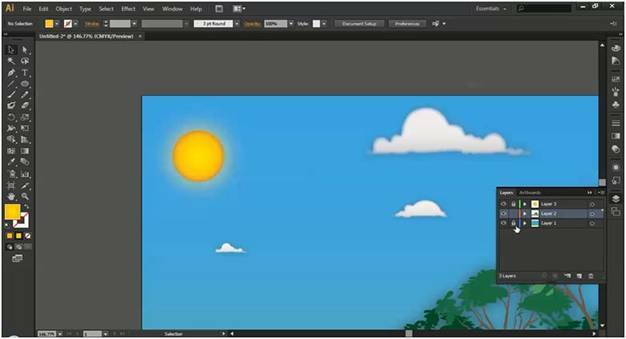 In this easy to follow vector graphics tutorial in Adobe Illustrator, I will show you how to design a cartoon style landscape background, and make it look professional. 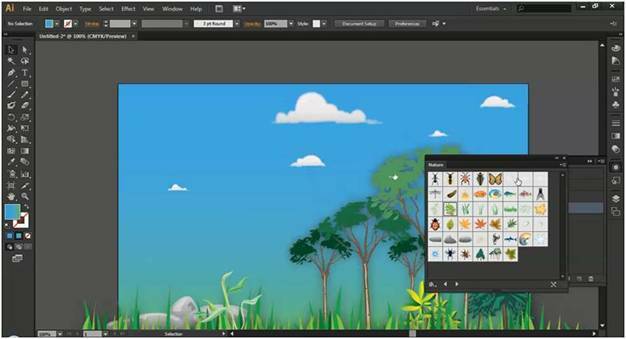 Using the Symbol Library and choosing nature symbols in Illustrator for the landscape, it’s easy to drag and drop grass, trees, clouds, rocks, and other vector objects onto the background. 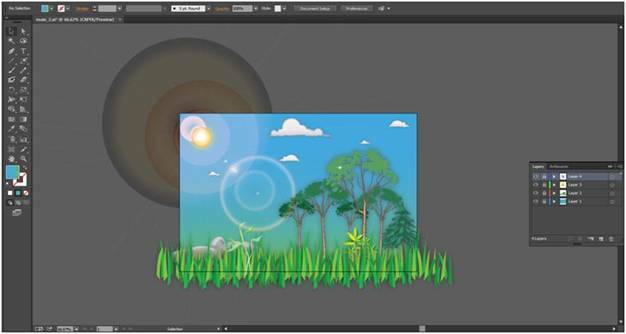 Also, I will show you how to use the Flare Tool to create a shining sun with glowing halos. 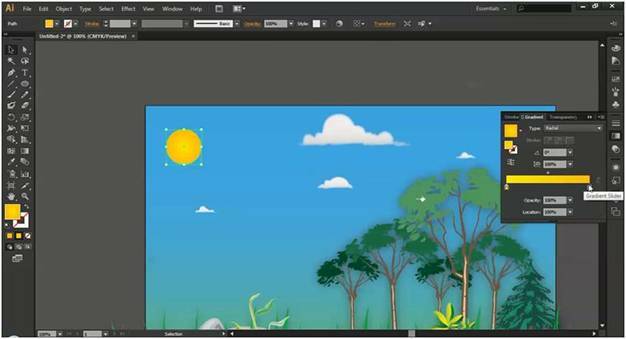 With this tutorial, you will learn exactly how to drag and drop Illustrator graphics to design an artistic background scene you will be proud of. 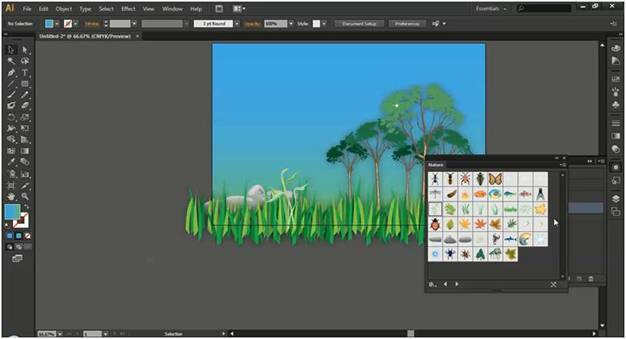 The “drag & drop” of artwork could not be any easier in Adobe Illustrator. 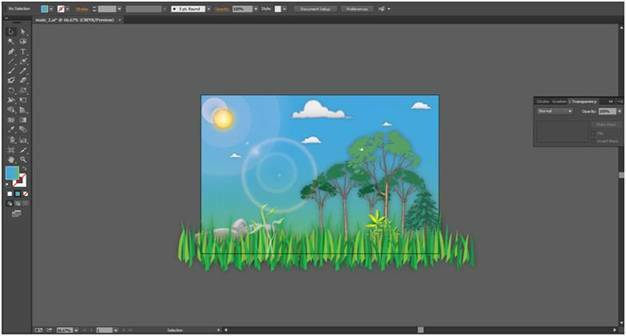 This is good for beginners or pros who want to quickly add scalable vector graphics to their scene in a snap. * Start by making a simple Gradient for the Background. 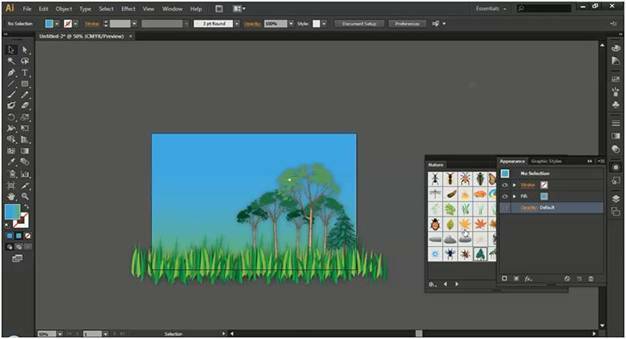 * Use the “Nature Symbol Library” to add graphics for the landscape. * Apply Outer Glow to the nature objects to add more depth. * Create a realistic sun with a Radial Gradient. * Use the Flare tool for special effects. 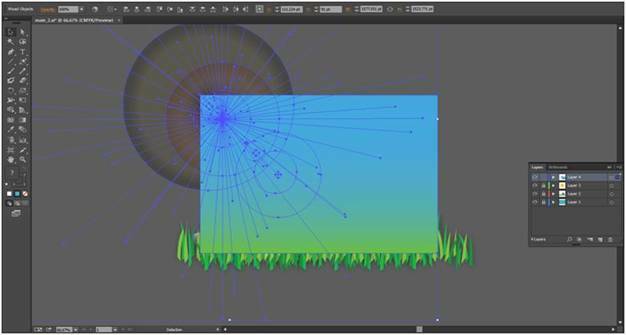 * Make a clipping Mask to hide overlapping objects. Note: Watch the video if you have any problems with the details below. 1. Create a new file with 900 pt height and 600 pt width. 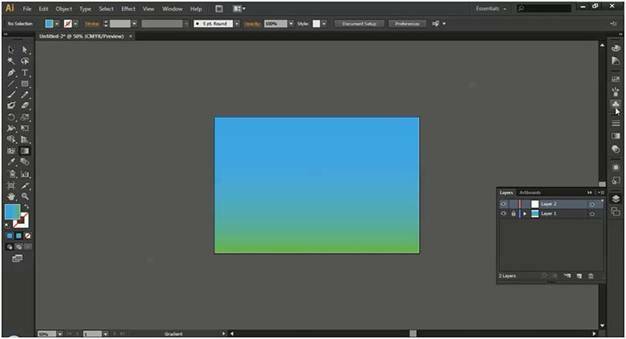 As background, just make a rectangle and change its fill to a gradient with #6bbd44 and #48a8de and angle the gradient as in the picture below. Lock the background layer and add a new layer. 2. Open the “Nature” symbol library from the drop down menu (top right corner) of the symbols toolbar. 3. Add some grass in the bottom of the art board. 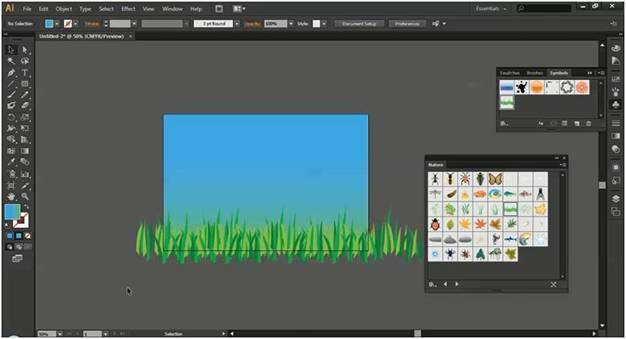 To do this, just drag and drop a grass that you like from the symbols panel. You can make an instance of any symbol to fill up larger areas. 4. 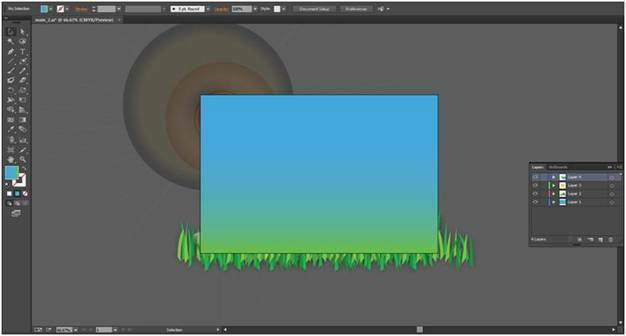 Now select all the grasses that you’ve added and add outer glow from Effect > Stylize > Outer Glow. You can use my settings. Mode: Normal; Color: Black; Opacity: 35% and Blur: 10 pt. You’ll apply this same outer glow effect to all other element you add in the scene except the sun. 5. Now add some more symbols from the symbols panel. I added some trees. You can add whatever you want in your landscape. Just add the outer glow effect to every symbol with the settings above. 6. I added some stones and some small trees to make it even more beautiful and natural. 7. Then add some clouds to the scene. 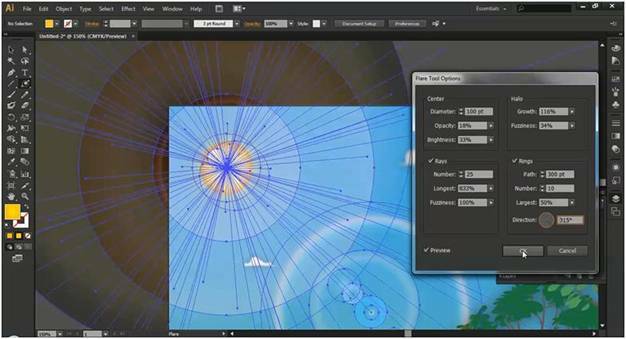 You can resize, transform, rotate, and reflect a cloud to place it many times in the same scene. 8. Now lock the layer which we were just working with and make a new layer. In this layer, we’ll make out the sun. Just draw an eclipse shape and change its fill to radial gradient with #fcb414 and #fff100. 9. Then add outer glow to the sun with, Mode: Normal; Color: fff100; Opacity: 75%; Blur: 15 pt. Add inner glow with, Mode: Normal; Color: Black; Opacity:15%; Blur: 10 pt. 10. After this, select the flare tool (click and hold down the rectangular tool under the Type tool) and click on the center of the sun. This will open up the flare tool option. You can use my settings shown below. Or even you can try different settings to see different output. 11. Finally, last touch is to hide the elements that overlap the background. Like the flare effect, grass and rocks, like below. 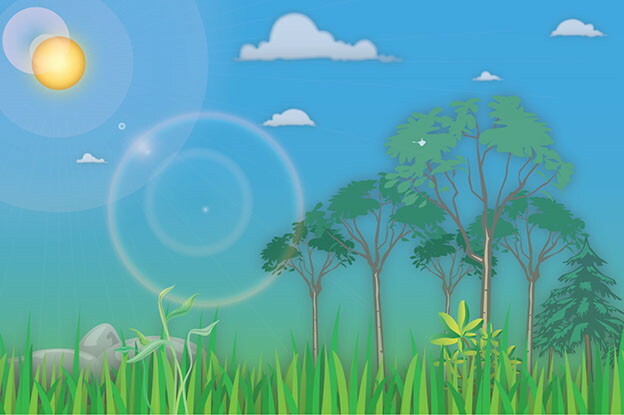 The flare effects are in layer 4 and the grass, rocks, trees and clouds are in layer 2. 12. 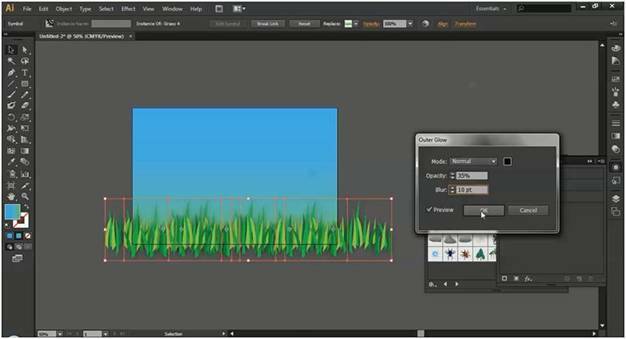 To do this we will copy the background object from layer 1 and paste it into layer 4 and layer 2, and make a mask in illustrator with clipping. First Unlock layer 1, then click the background and go to menu and copy. Go to layer 4, and unlock it then Paste in Place. Now we have the background copy to use in the first mask. 13. Lock all layers except for layer 4. 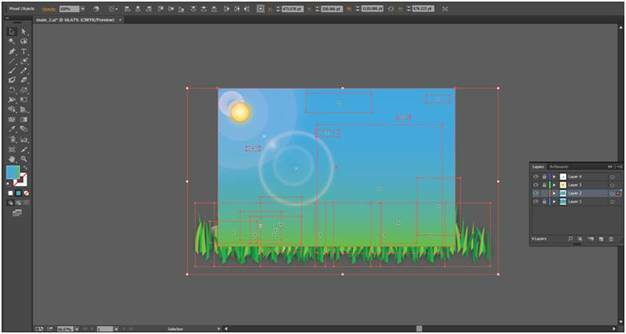 Use the Selection tool to make a rectangle over all objects in layer 4 to group select them. 14. Then go to the Transparency tab and click Make Mask. The result is below. 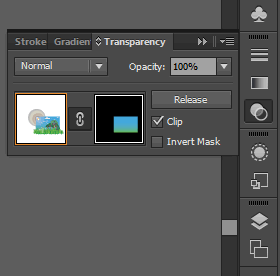 The mask in layer 4 has hidden the flare effects outside the background. 15. Now do the same masking with Layer 2. Lock all layers except layer 2. 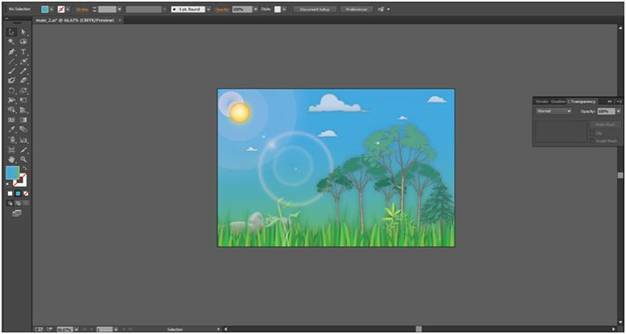 Use Paste in Front to paste the background into layer 2. 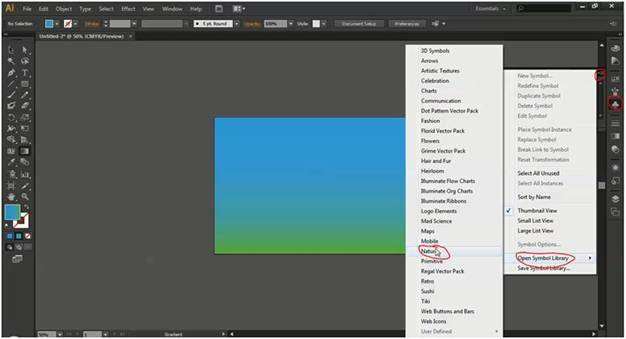 Use the Selection tool to make a rectangle over all objects in layer 2 to group select them like below. 16. 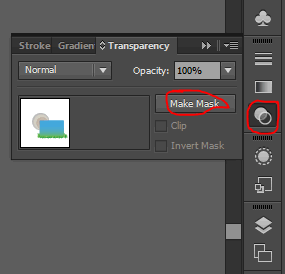 Then go to the Transparency tab and click Make Mask. This will hide the overlapping in layer 2, like you see below. The final output below. Not a bad landscape background for just dragging and dropping vector symbols. With the above techniques you have just learned, you too can become an Adobe Illustrator artist in no time. Give it a try. Comic s﻿tyle image in Photoshop A short tutorial on how to adapt any image into a comic style image. 3D paper background In this tutorial we will find out how to create an abstract 3D paper background. Cat Wear Glasses Using Photoshop This is the video it teaches you something simple but quite cute. Don't let the "Bone Yard" in our name fool you. We have been at this for four years, and are just starting to ramp things up. Do you want to contribute? We have a user submitted community news page. Get good do-follow backlinks to your posts... and a bit of traffic. Give us a try.